Kalberg, S. 2017. Reconstructing Weber’s Indian Rationalism: A Comparative Analysis. Max Weber Studies, Vol. 17, Issue. 2, p. 235. 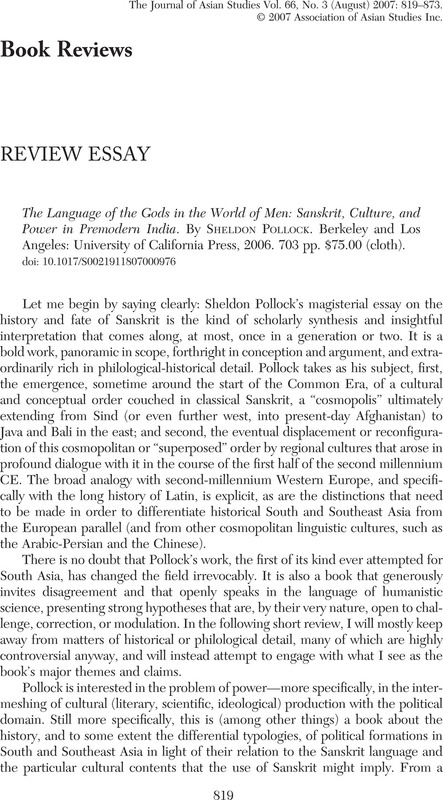 The Language of the Gods in the World of Men: Sanskrit, Culture, and Power in Premodern India. By Sheldon Pollock. Berkeley and Los Angeles: University of California Press, 2006. 703 pp. $75.00 (cloth).